Instilling independent learning, creative thinking and strong values. KLAY’s Preschool Program is designed based on the fundamental understanding that a child’s brain undergoes extraordinary development in the first six years of life. KLAY helps your child embark on the journey of lifelong learning and lays a solid foundation for academic and social development. The focus of the KLAY Preschool program is to instill independent learning, creative thinking & excellent communication skills to arm your children to succeed in tomorrow’s world. 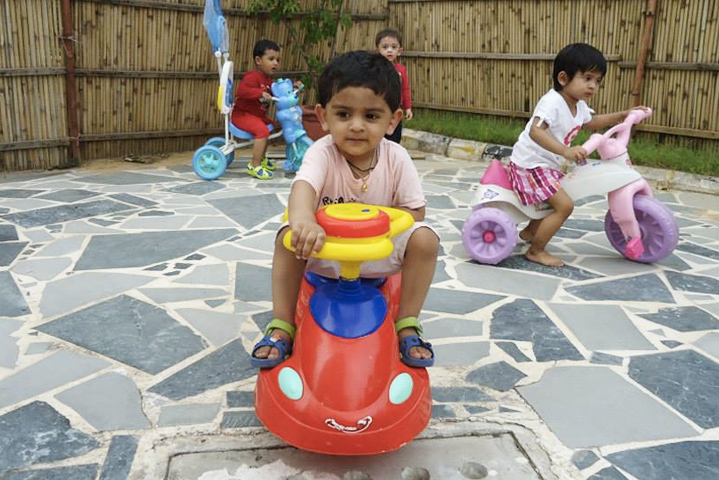 The KLAY Toddler Program is based on experiential and social learning and helps your child learn in a fun filled space through different activities. 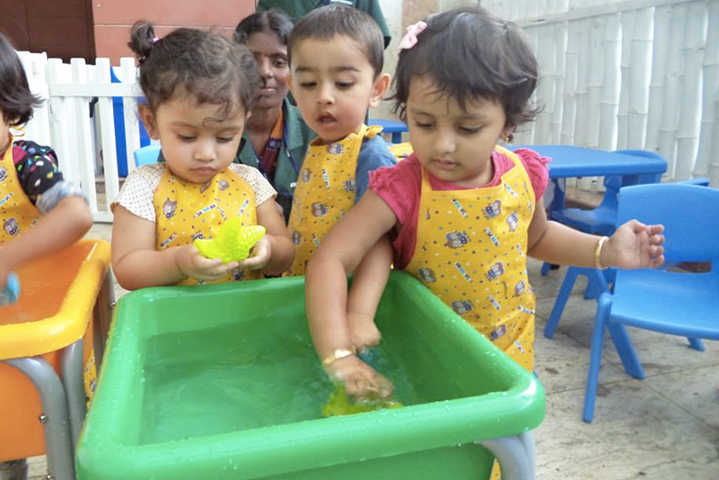 The activities are planned to promote growth in cognitive, literary, logical and social skills and help the toddler grow into an independent and confident individual while preparing for needs beyond pre-school. Identifying the developmental and learning needs of your child aged 12 months to 20 months. 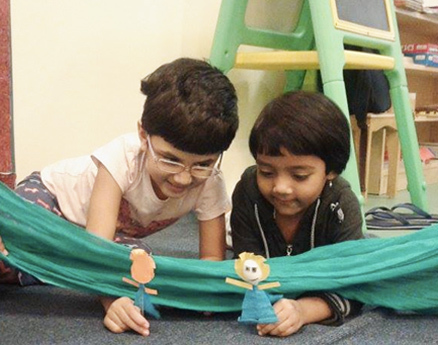 Providing developmental and age appropriate activities. 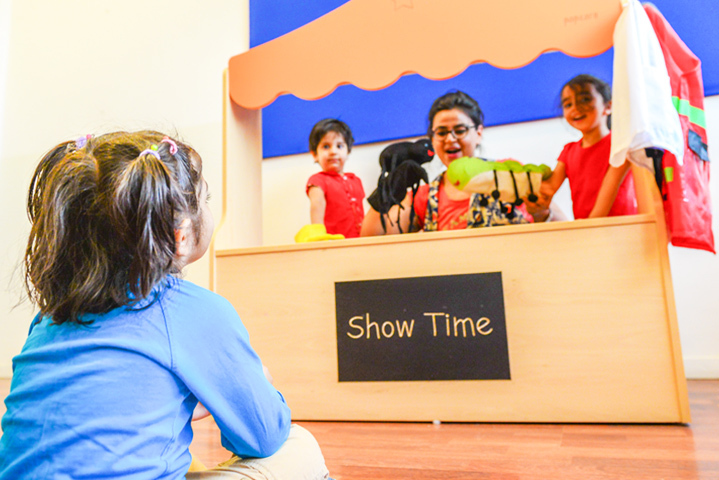 Providing learning zones that help develop linguistic, logical-mathematical, bodily-kinesthetic, musical, interpersonal, intrapersonal, naturalistic skills. The KLAY Pre-K program helps bridge the transition between the established elementary knowledge attained during the Infant and Toddler programs and advanced learning abilities. 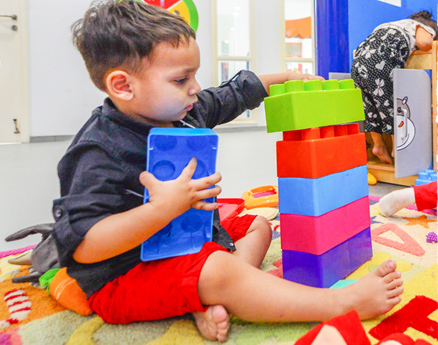 The Pre-K program focuses on building on the language ability, logical reasoning, numeric ability and scientific thought. Children are divided into small differentiated groups based on learning abilities and the focus is on promoting focused and accelerated learning. In all KLAY centres the learning ecosystem is divided into different learning zones. These zones provide experiences that focus on developing all the skills and preparing for future academic success and holistic growth. 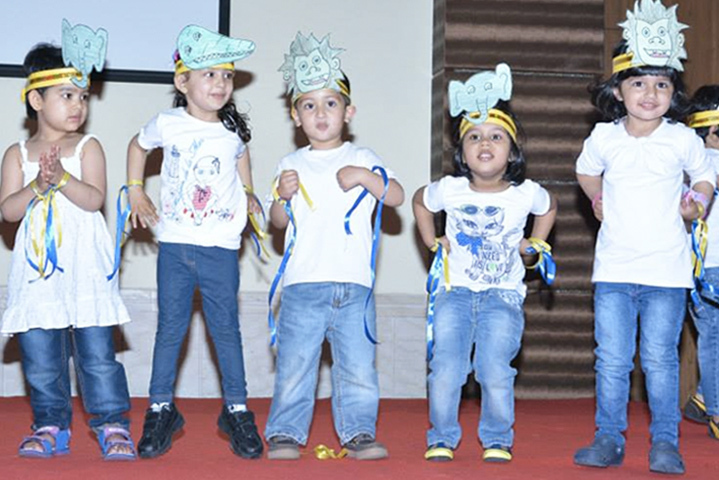 KLAY Kindergarten K-1 program focusses on the all round development of a child. 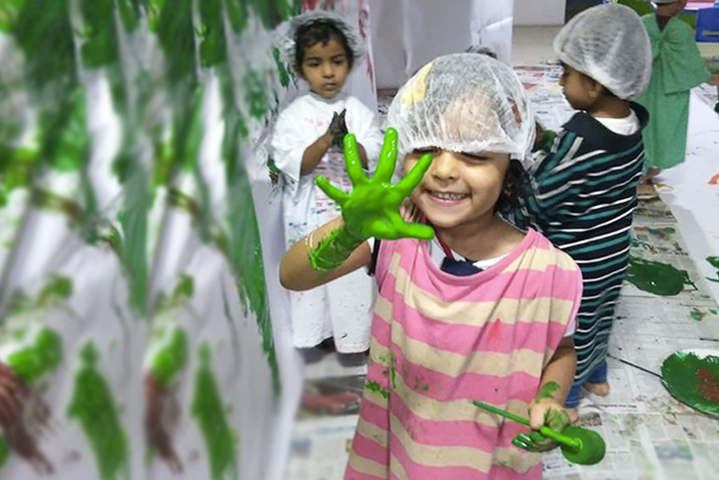 The curriculum revolves around five pillars of development: Language & Literacy, Math & Logic, Physical, Social & Emotional Development, General Awareness & Creative Expression. Literacy not only includes learning language and writing but also communicating. Math and Logic includes numbers as well as problem solving skills and cognitive development. At KLAY we encourage children to express themselves through different media be it dance, music, art or ICT. The Art program at KLAY provides exposure to well-known artists and tribal art forms, from around the world. 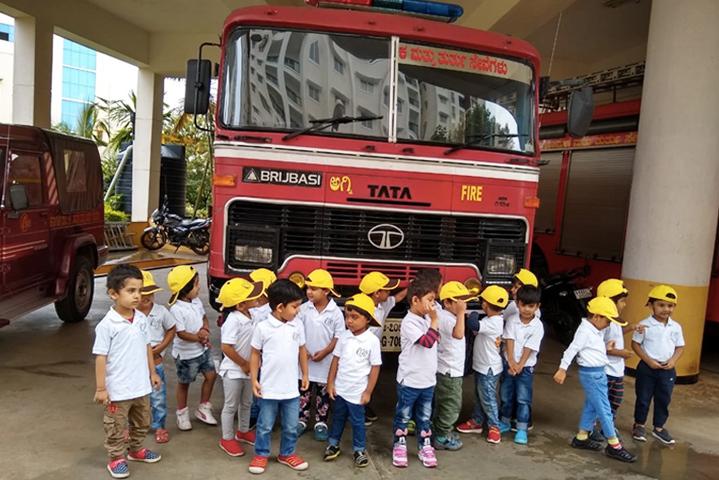 The KLAY Kindergarten, K-2 program gives exposure to ICT program along with focus on Language and Math skills.The K-2 program is designed to give children a strong foundation in the skills and academic excellence that will be needed to enter regular school. The program helps develop physical, personal, social, emotional skills; literature and language skills; logical-mathematical skills; creative and expressive skills; and knowledge and understanding of the world. Our curriculum’s approach allows each child to explore reading, math, science, music, movement and field trips to meet our five frameworks of learning. 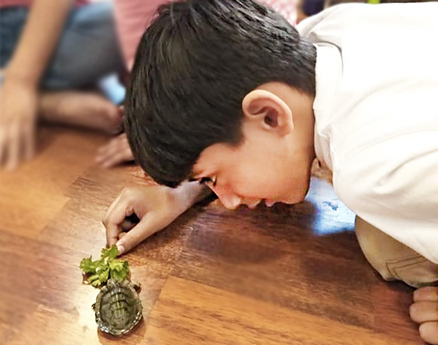 KLAY values teacher facilitated and child oriented curriculum with sequential instruction to ensure that children are prepared for the adventure of having a lifelong love for learning. 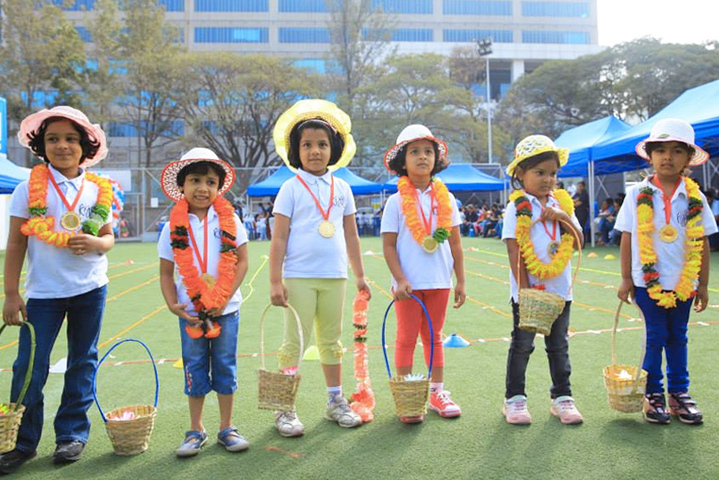 Our K-2 program is aligned with State, CBSE, ICSE and IB school standards, so that children will be prepared to confidently enter first grade. We are very happy and proud to be associated with KLAY (Prestige Tech Park, Bangalore). Our daughter, Tanishka, has been enrolled here since Feb 2016 and what an amazing transformation she has had over the past 6 months. From a socially shy person to a completely outgoing child – It is a treat for our eyes to see her evolving every day both cognitively and emotionally. The biggest credit goes to KLAY’s staff at PTP, the curriculum, the policies and their positive attitude to all our concerns. When Tanishka waves us bye every morning with a radiant smile and greets us with the same smile back in the evening, it makes us feel that we have chosen the right school for her. Tanishka’s happiness, her love for her teachers, friends and the everyday surprises she gives us in the form of rhymes and activities when she is back home are the biggest reason for us to testify the credibility of KLAY. It tells a lot about the positive environment at the school when your child asks you to drop her to school on weekends. A big thanks to team KLAY PTP for giving Tanishka love and care and the wings to fly like a free bird and explore in initial and very important years of her life. You are shaping lives of our children and we as first time parents have learnt a lot from you to better our parenting as well. Thanks SO much!